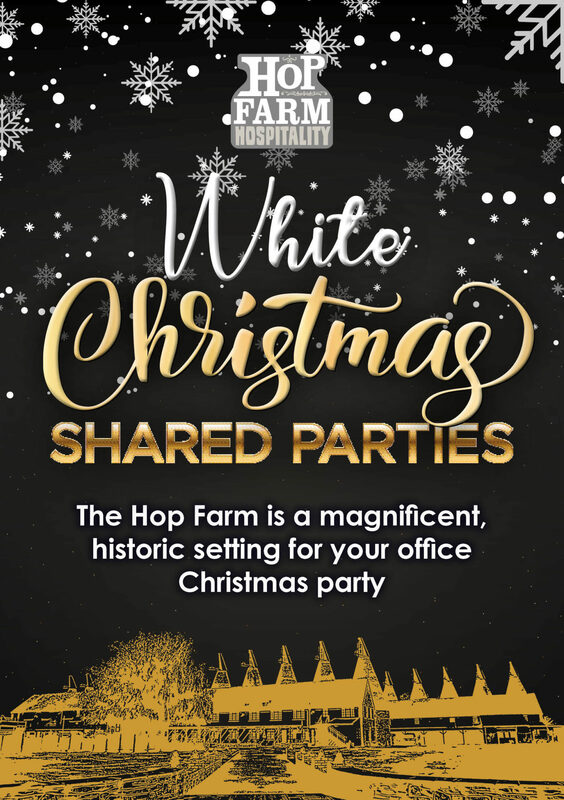 This December (other dates available) come and enjoy our "White Christmas themed parties at The Hop Farm (located near Maidstone and Tonbridge) in Kent! Treat your staff or group of friends to a unique and memorable pine-filled, winter wonderland Christmas Party experience. Groups from 10 to 250 people. 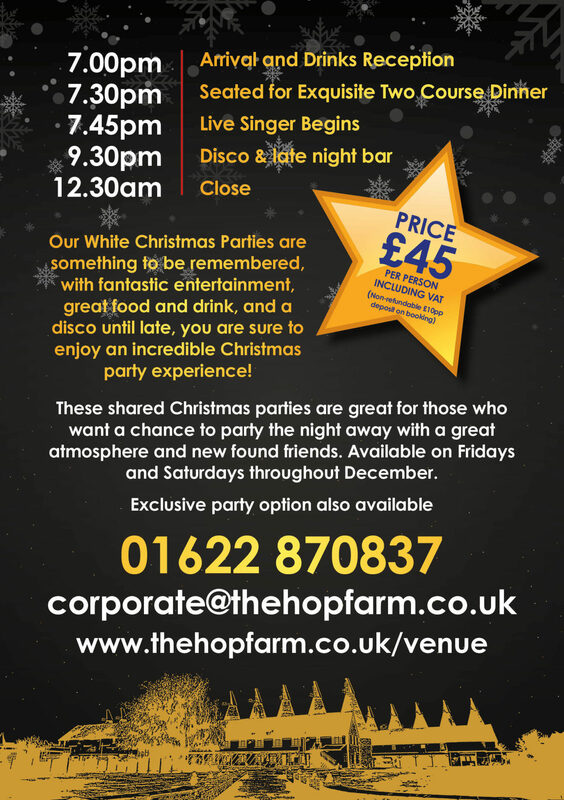 Exclusive White Christmas parties are also available, as well as bespoke (click HERE for details). Complete the form below to check party availability and we'll get back to you straight away!